Lance proposed to Kaylee on a black sand beach in Iceland at sunset. 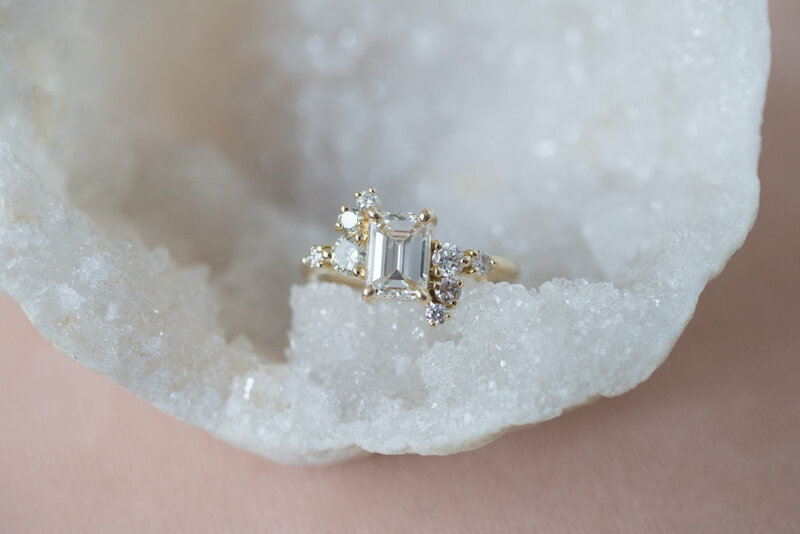 He used the emerald cut diamond and a few round diamonds from her grandmother's ring to create Kaylee something filled with family history and a story all of their own. We are thankful to have been a part of the creation of this very special ring. 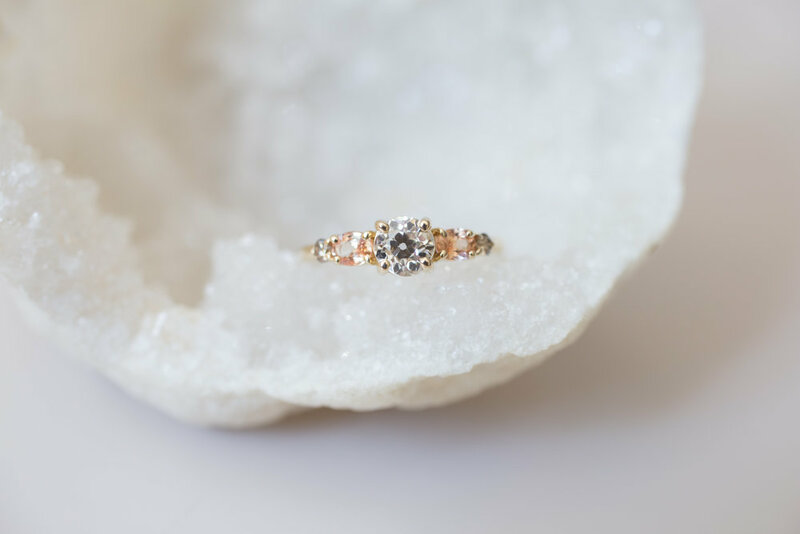 We make so many asymmetrical rings, so it was fun to create an almost symmetrical cluster ring for Kaylee. 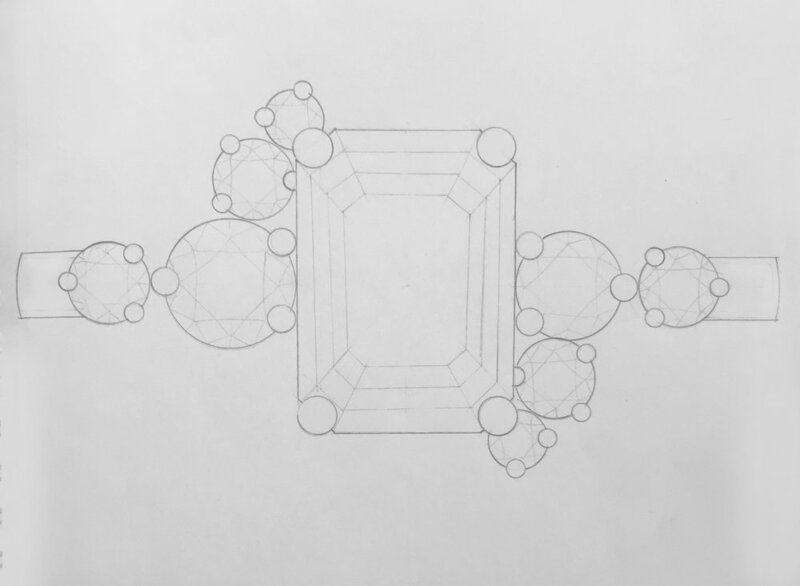 Lance really liked the balance between the sides of the ring with a very small difference between the round diamond sizes. If you scroll down through the photos, you can see the original setting that the emerald cut diamond was first set in. It’s amazing to see the transformation of this stone through the years. To think of all of the anniversaries the diamond has been a part of with Kaylee’s grandparents to then go through this design evolution and fly all the way to Iceland to land on Kaylee’s finger is pretty amazing. Happy engagement Kaylee and Lance!